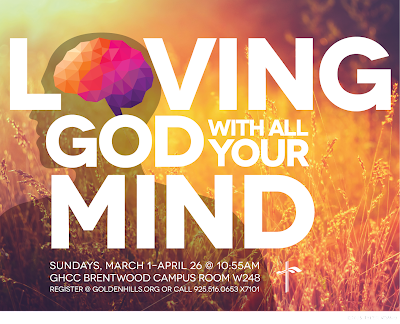 There is a new class at GHCC, called Loving God with All Your Mind. 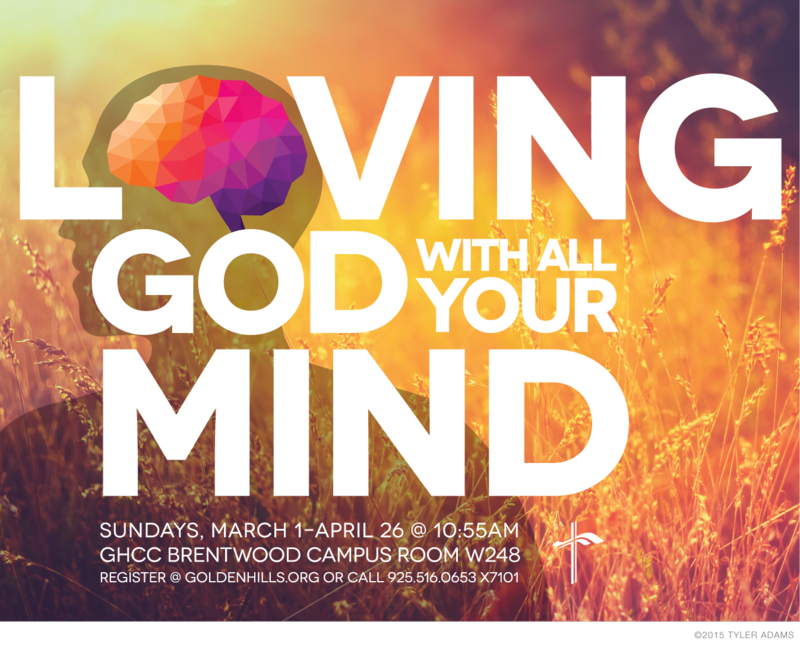 I really wanted to show an image of a brain because that is not something you often see hanging up on a church bulletin board. But I also wanted to do it in a unique way. I was inspired by the images that use a heart as the O or the V in the word LOVE on so many things. I used that idea to create a similar effect, but able to incorporate the brain to express the same concept.